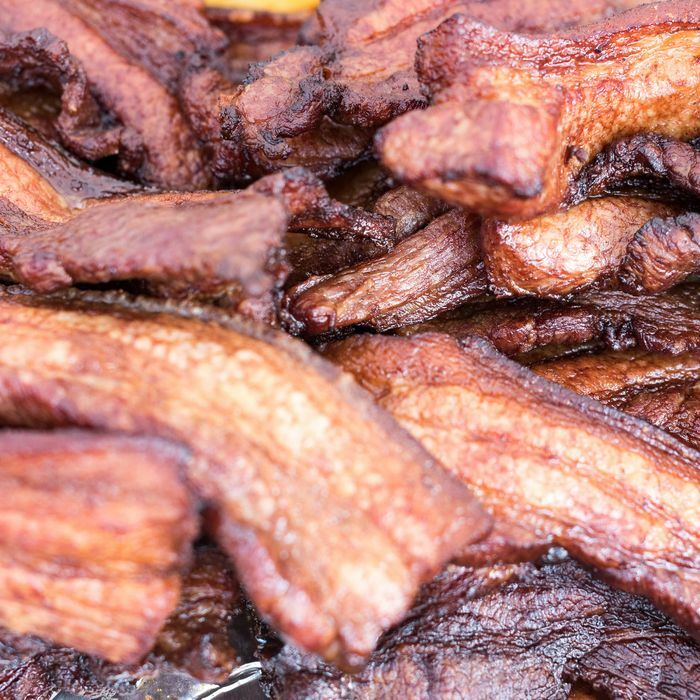 The good news: There’s still a lot of frozen pork belly left in the coffers — 17.8 million pounds to be exact, as of December 2016 — so America won’t run out of bacon yet, but the bacon blues will cause prices of America’s favorite meat to rise. Whether or not the country can withstand this crisis, given the added stress that already accompanies every day, has yet to be seen. Responding to the panic over the news, the New York Times told readers to calm down and that the situation is overblown. The paper really, really doesn’t want Americans to know that there’s going to be any danger of not being able to get bacon in these trying times. Which raises the question: Is the Times in the pocket of the turkey bacon lobby?